FlipperTools is the product of hundreds of hours of volunteer effort. Please consider making a small donation to support the continued creation and maintenance of the free tools and content on the site. 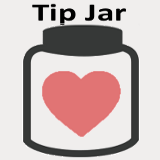 If you'd like to contribute without making a monetary donation, please use the social sharing buttons located on the pages you use the most to help others find out about FlipperTools. Tell your friends!